Local wool from the Maniototo. 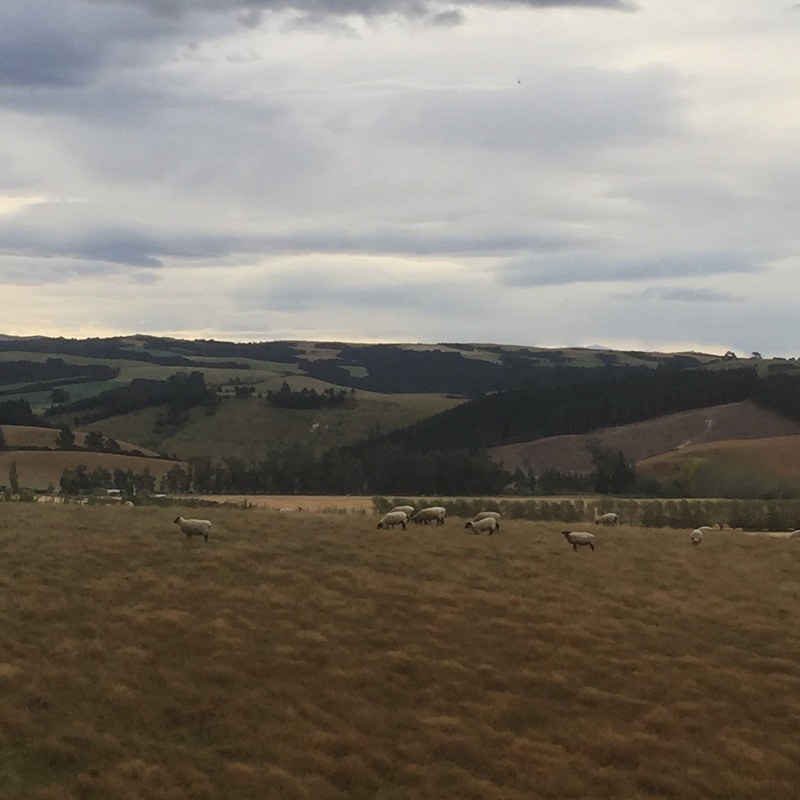 The reality of most home grown New Zealand wool is that it is a raw commodity to export, where processing happens overseas and a small proportion may be bought back as finished goods. This includes clothing made for the big brands such as Icebreaker. So our wool mills have largely shut down and the equipment sold. There are a mere handful of mills left here. Some are very small boutique or specialist mills such as carpet Yarn spinners. As a handspinner I still have access to beautiful NZ grown fibre mostly from life style block farmers. 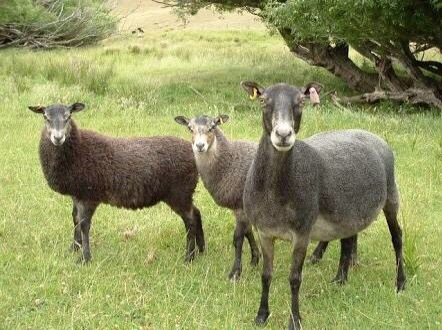 But I wanted a commercially woollen spun yarn from preferably local Otago grown sheep milled here on the South Island. Whilst I was researching how I could achieve this Mary Furness Weir began her wool business Maniototo Wool four years ago. Here’s Mary selecting wool for her Yarns. 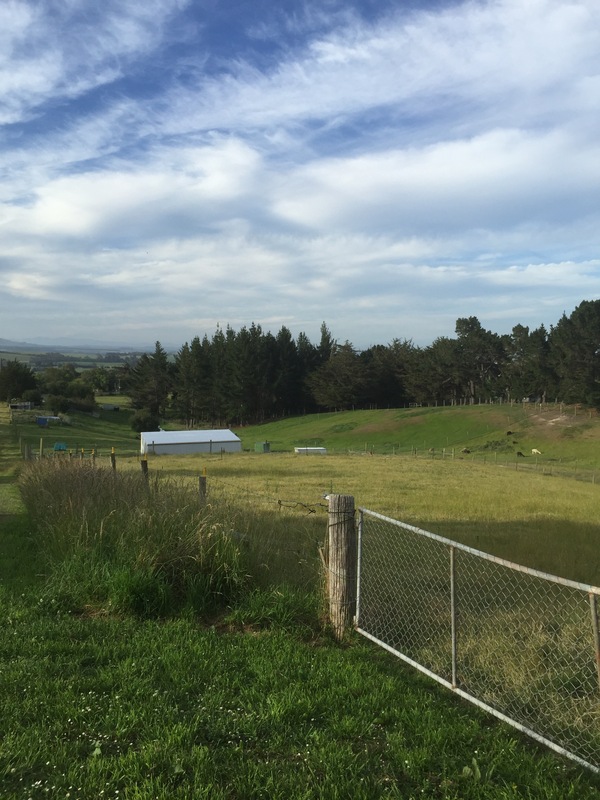 Mary visits the Duncan’s farm in the Maniototo who rear commercial flocks of white halfbred (Merino/Romney) sheep. 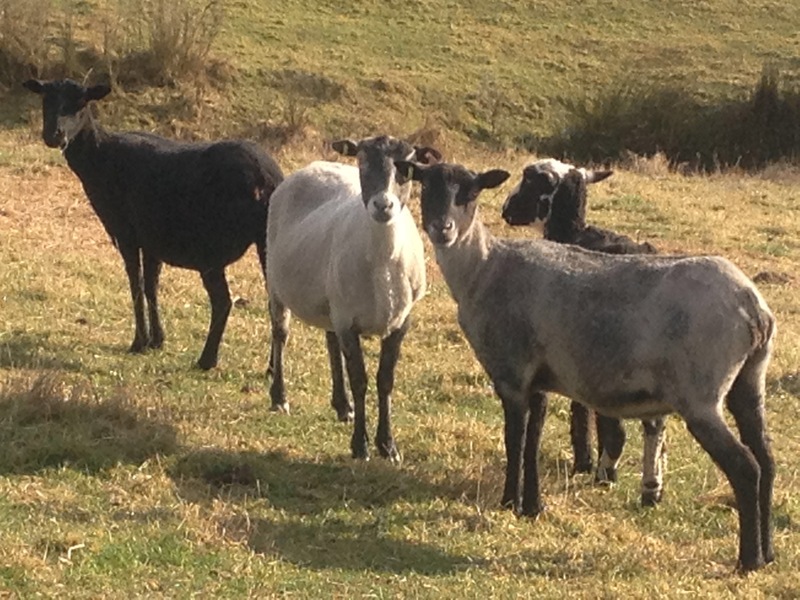 The Halfbred sheep is an established breed that does well here in Otago. 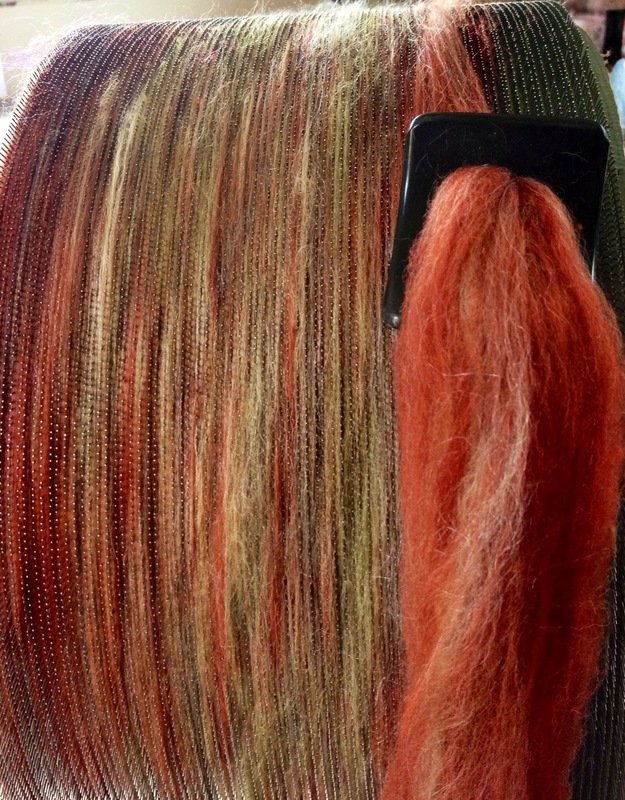 The fibre has Merino traits but also the hardiness and staple length of the Romney. In this case the Merino rams are bred to Romney Ewes. Photos above credited to Mary. The sheep are shorn by very experienced shearers and the wool is removed carefully, cleanly and efficiently. Mary selects with the guidance of a very experienced wool classer. I was particularly pleased that Mary always planned that it would be a woollen spun Yarn although she now has a lovely worsted version too. 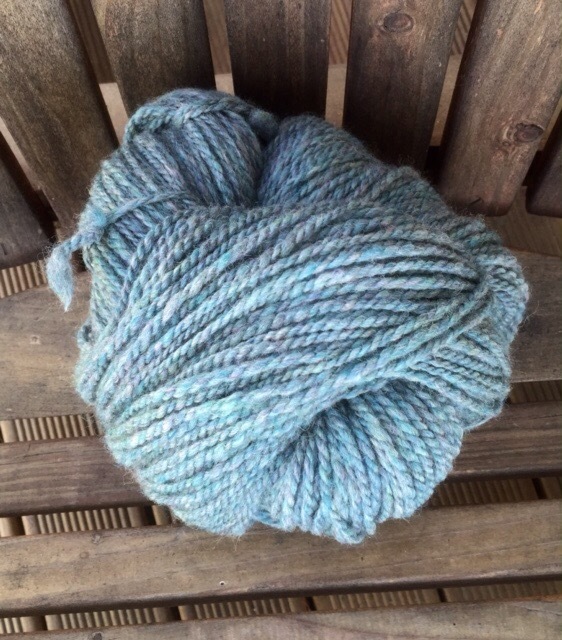 Also she initially chose to have her first Yarn spun at as an Aran weight at Wild EarthMill in Christchurch . 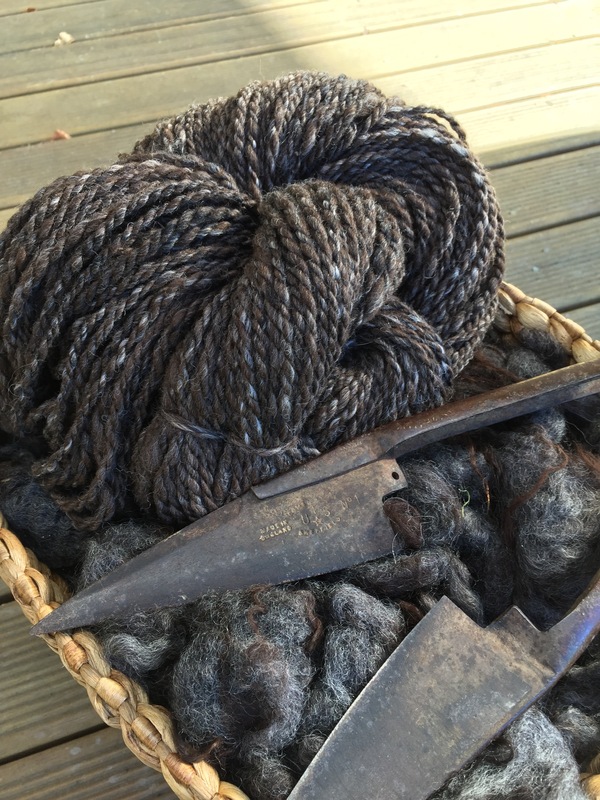 Woollen spun wools are still unfamiliar territory for many hand knitters as the bulk of commercial knitting yarns in NZ are worsted spun. 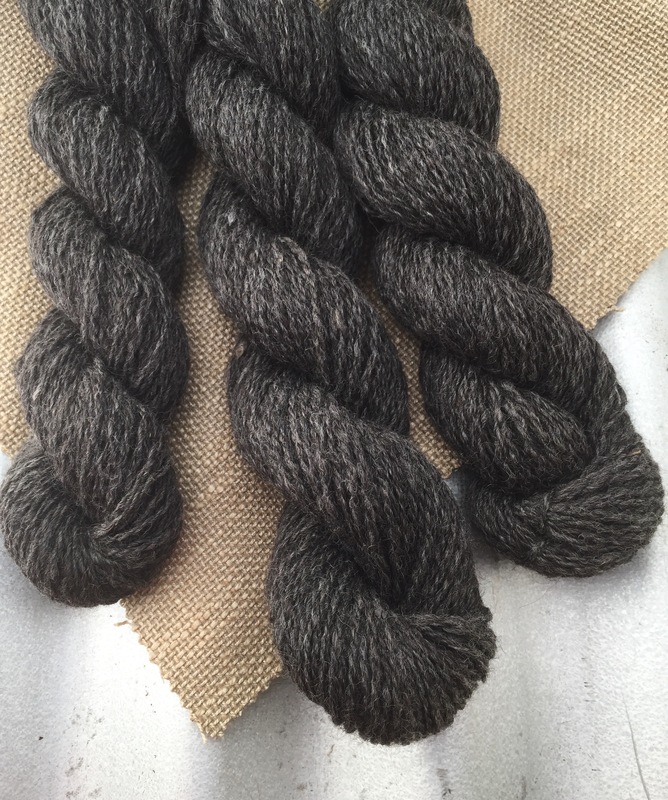 Woollen spun Yarns are matte, not shiney. There is a little more texture and the spin is light so they are fluffier and trap more air. They are also a little more delicate although the choice of half bred means this is a robust wool. 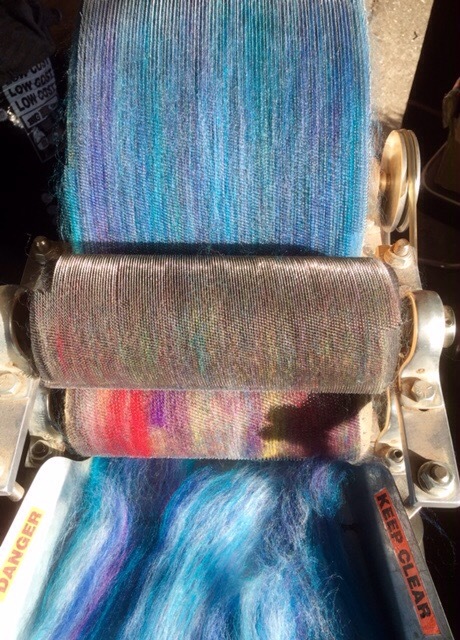 I love dyeing and stocking this wool. It is exactly what I would desire in my own commercial processed yarn. It takes plant dyes beautifully and stands up well to all the processing required when using plants. 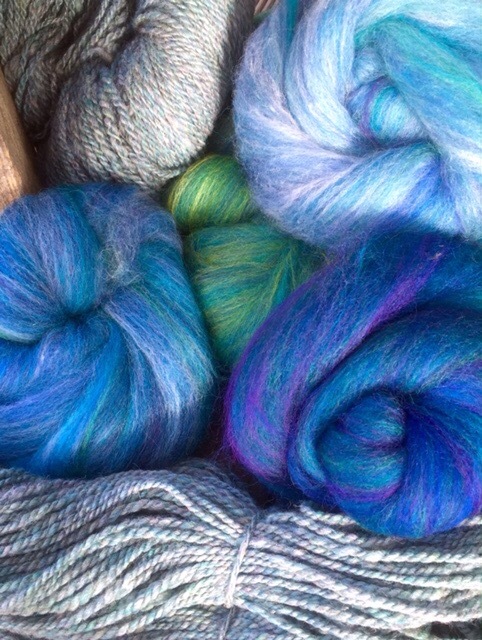 Whether you knit, crochet or weave with this yarn it will produce a gorgeous fabric. It takes up acid dyes well too. 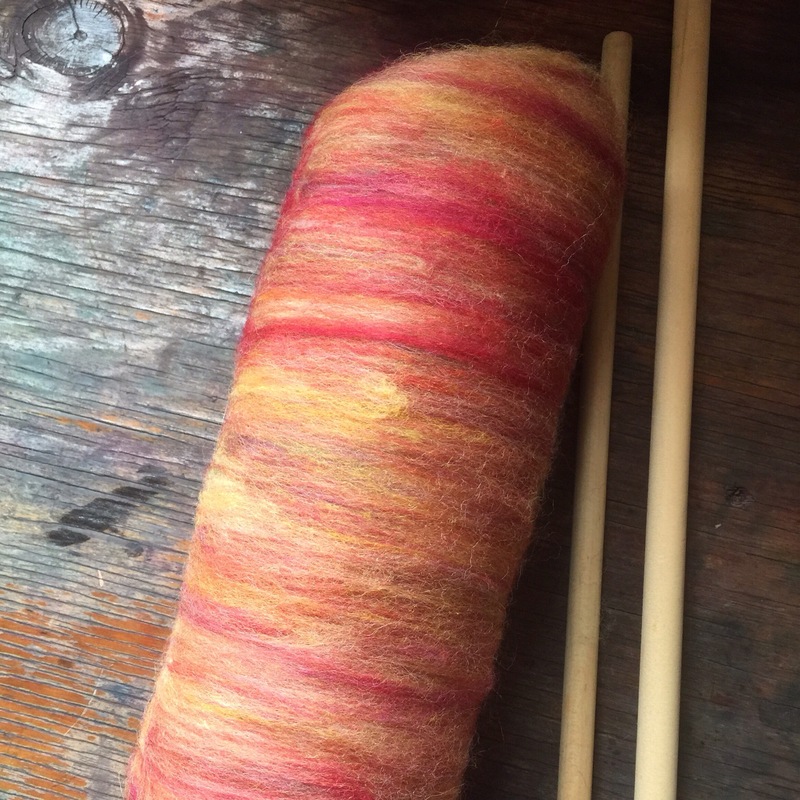 It needs a little more dye than other wool yarns to reach a full saturated shade but this is partly because it is a non machine washable wool which has had less processing and no polymer coating on the fibres. The Wool travels via Mary’s van from the farm to the Scourer in Timaru. Mary then collects it and takes it to the mill in Christchurch. From there she collects the finished yarns a few months later and takes them back to her home in Geraldine before sending them onwards to her customers. 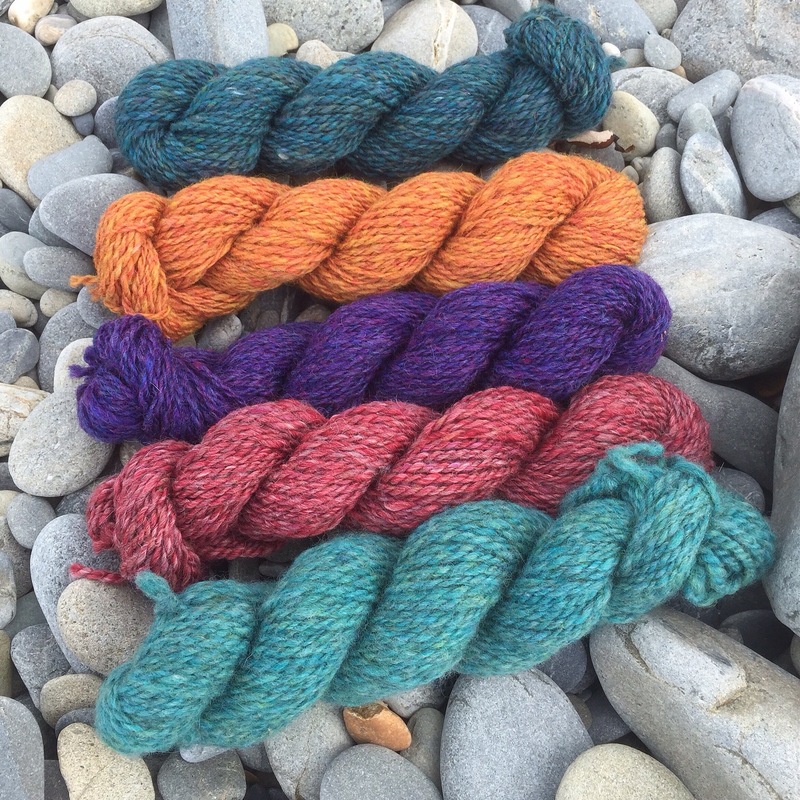 Mary has a lovely range of her own dyed yarns so check out her website. Plus she is a beautiful prolific knitter with a few of her own patterns. As you can see I enjoy dyeing This beautiful wool. It’s truly local to me and very special. Thanks Mary and the Duncans. ‘Antler Wrap’ NZ wool, alpaca and silk. For much of my fabric there is a local and personal story attached which is the underlying structure of how the yarn came about. Each section of yarn has not only been through my hands several times but comes from living creatures. It gets harder to buy Coloured wool locally of good quality as some of the shepherds have retired or died themselves. Flocks are dispersed and there is not the interest amongst younger folk. However I still access a few of my favourite fibre providers. Plus I still have plenty of fibre in my wool shed to keep me occupied for a while. Above are Stuart Albrey’s Polwarth Sheep brought into the shed. If I’m using raw fleece it has to be washed first in hot soapy water to remove the dirt and grease. I use pure soap flakes with dishwash detergent and extremely hot water. Two washes are required for greasy fleece followed by two or three rinses in clean water. I spin out the excess water and lay the wool on a drying rack outside for a day or two. Once dry I need to open it up and fluff it with my picker below. This prepares it for carding and spinning. So already I have spent time with this fleece and handled it a few times. 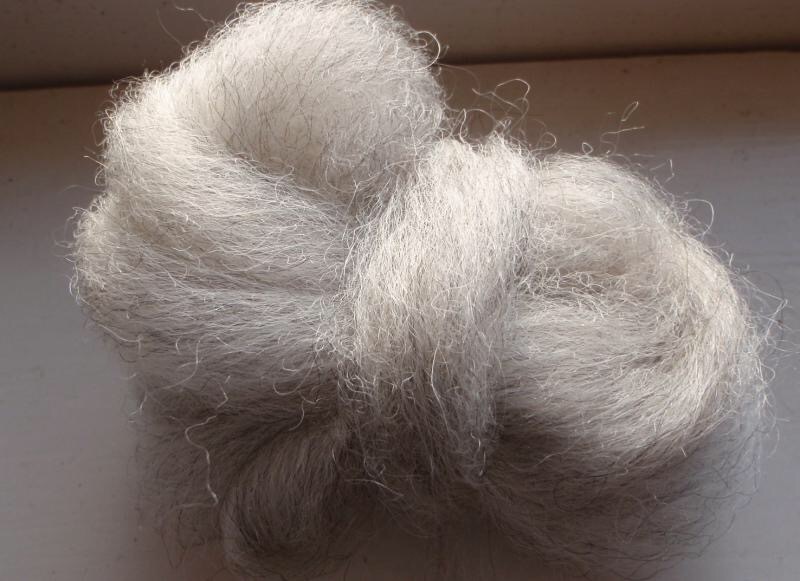 The next stage – Do I blend this fleece with other fibres? What do I want the Yarn to be? Textured or smooth? Variegated colour? Etc. Carding is a time consuming job even with the help of electric. 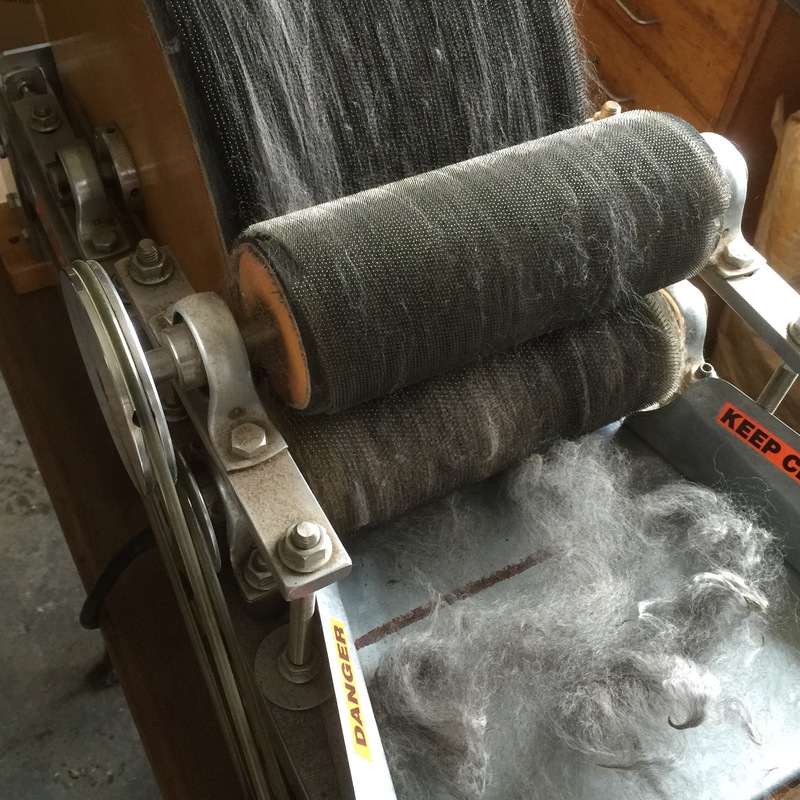 Some fibres require several passes through the carder and alpaca has to go through the feed slower than wool or else it sticks to the ‘licker in’ drum. It’s a job I enjoy as I can get creative with blending and colour. Batts of fibre are rolled and stored in a basket ready to spin. Ideally I like to card enough for a project in one go. I Spin on both a manual treadle wheel and an electric spinner. a bobbin takes me about 2-3 hours to fill depending on the diameter of the Yarn. Two bobbins plied creates approximately 200-250g of Yarn. 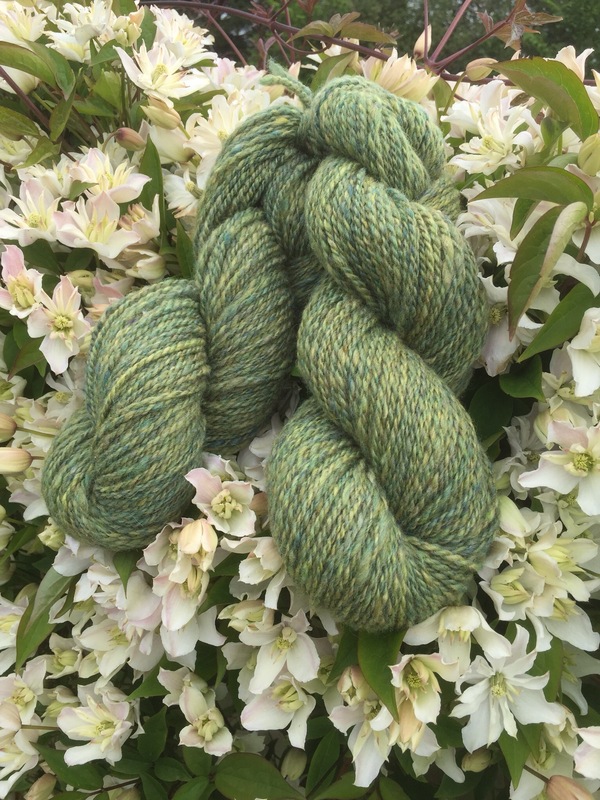 The finished plied yarns are washed to set the twist and remove any remaining oils. Then once weighed and measured are ready to sell or weave with. 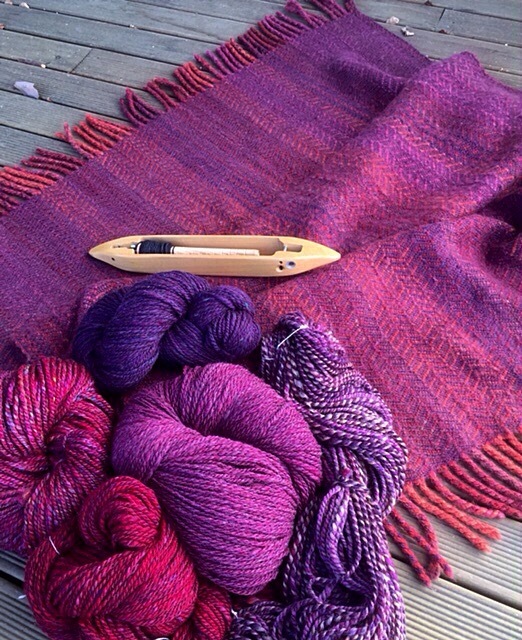 A wrap or blanket will take me several hours to warp and weave on the floorloom. Once cut off the loom that too needs checking, mending skips, trimming ends and washing. Fringes are twisted and trimmed and the fabric is checked again and then steam pressed lightly. Labels are stitched and the article is ready go from my hands to someone else’s. I am so grateful that there are still people willing to care for these wonderful fleece providers and I still have access to these quality fibres I put into my yarns. Raw wool commands very little financial return for these farmers often costing more to shear than they are paid. Without the diversity of local colours and fibres I would not be able to produce the fabrics I love making and wearing. This is my new site for all things connected with DOESPINS. To read my previous blog go toHere I have decided to have one place where I’ll keep my news, views and creative activities as well as an Internet shop link. My current work is heading away from the perfectly planned and smooth tidiness to a less controlled and more variable path with more personal exploration. I want my yarns and finished pieces to reflect the more primitive essence of the the actual fibres and their origins. Less processed and more rustic. I have always loved the natural colours of animals’ fleeces and fibres and I plan to celebrate their beauty more in my weaving and spinning. There will still be colour too since I love to blend at the spinning stage.